The history of Magic or Latin squares dates back thousands of years, to the pyramids of ancient Egypt, and possibly even further back to the first Chinese dynasties. In fact, today, the Chinese people still use magic squares for cutting and trimming bonsai trees to the correct mathematical ratios of nature. By understanding these natural laws, one can argue that the Universe exist according to precise mathematical laws. The Law of the Squares (LOS) or Magic Squares is not a new technology but an old technology that’s been reborn after John Searl at a young age developed it independently and discovered his numbered matrix has three dimensional properties that can model the quantum energy states of mass in time and space. There are three groups of squares – group one, two and three, and there can be no others. Group one squares consists of all odd numbers. All even numbers that are divisible by four are in group two. All the rest of the even numbers not divisible by four are in group three. When the correct matrix of random numbers sum up to the same line value across, down and diagonally, then it is just as valid as the physics regarding the known laws of conservation where energy is neither created nor destroyed, but can be converted from one form to another. 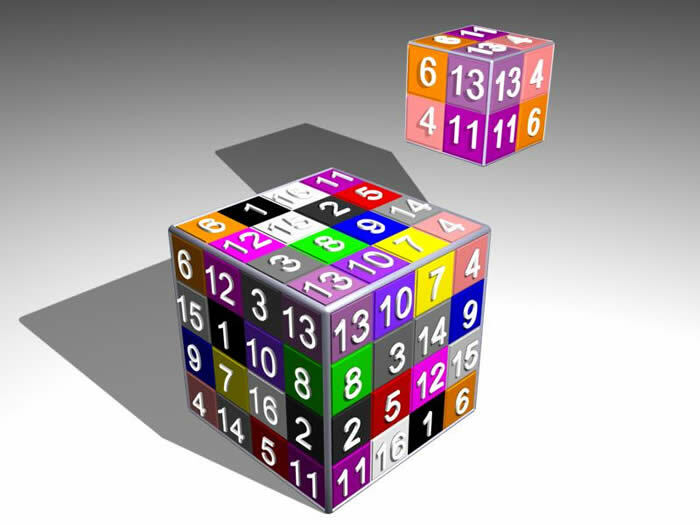 The LOS matrix demonstrates these conservative laws precisely by correctly transposing the random numbers of the squares into line values that all add up to the same value in any direction results in a non-random or uniform state of summation without creating more or less value than the total sum of the cube. LOS technology along with appropriate stimulation is a transformational solution to random quantum energy state conversion into a useful non-random (uniform) state of resonance and coherent electron motion within the atomic lattice or simply put, can form electrical currents out of chaos. Note: The First law of thermodynamics states that both work and heat are forms of energy, and that the total energy is conserved as the LOS matrix illustrates with its exacting summation; the SEG functions in complete accordance to this law. Also note: Where as the Second law of thermodynamics states that in a “‘closed system” disorder grows and less energy is available for work. The SEG functions on the bases of an “open system” as is life, windmills, hydroelectric’s, solar cells, etc. Fact of the matter is the 2nd law does NOT apply to “open systems”; it is a typical mistake by self-proclaimed experts to say otherwise about the SEG’s energy cycle. Square four is graphically illustrated 3 dimensionally; added in any direction sums 34. The kernel of the square is the 2×2 cube which represents the core of the square. Click on the image or here to view the transposition from random to uniform results. For an SEG to work effectively, the various materials or elements must be of a specific nature, weights and dimensions. Also, it must be configured in such a way that it meets the LOS requirements with a high level of material precision based on strict mathematical design criteria. Professor John Searl has written many books on the subject of The Law of the Squares and he uses these square matrices and their laws to construct the Searl Effect Generator. He has explained the Law of the Square’s unique properties and has traveled extensively to lectures about it at schools, conventions and universities of many countries. Click here to watch a video where Prof. Searl works out the Squares at the 2010 Tesla conference.